This model stove was used by the U.S. military during World War II. The Coleman version is called the 520 and the American Gas and Machine (AGM) seems to go by model M1941, but it seems that the 520 is the manufacturer’s designation and M1941 is the military designation. I think using either is fine, but it seems like most people call the Coleman a 520 and the AGM, M1941. 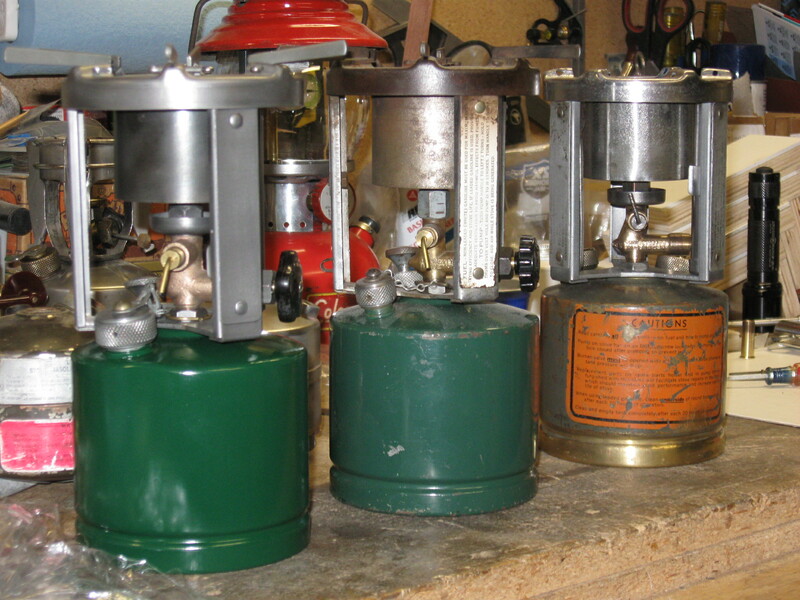 I have three of these type of stoves an AGM model made in 1941, a Coleman made in 1943 and a Coleman made in 1944. 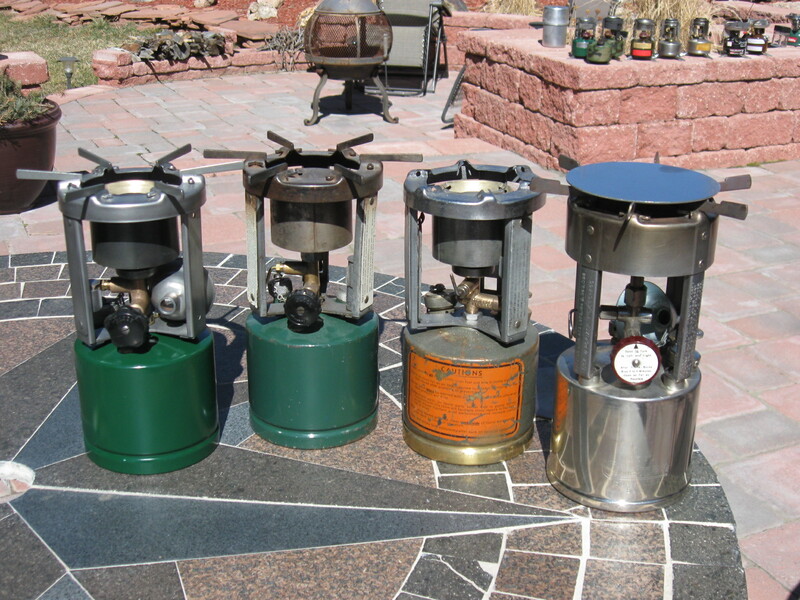 If you’re interested in stoves like this be sure to check out the forums at Coleman Collectors Forum and Spiritburner. There’s also a brief history of this stove on the wiki. After a period of observation and study, I became aware of the somewhat minor differences between them. I decided to enter it on my blog so I could use it as a reference. I’ll probably add to this post from time-to-time.